One of the reasons why we love summer is because life slows down to soulspeed. Days are longer, weather is nicer, people socialize more and, admit it, you become lazier than usual. Nothing wrong with that! We wish we could all have more of slow-moving days. And one of the best ways to lazy around is in your back yard, sipping your favorite beverage and rocking in a hammock. 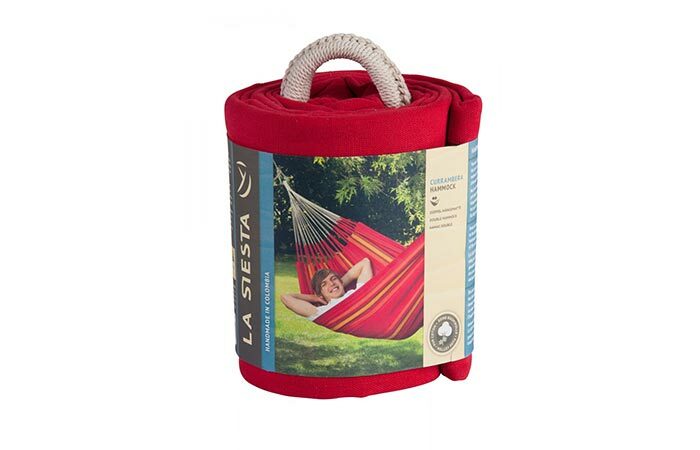 Like this one – La Siesta Currambera Colombian Double Hammock. 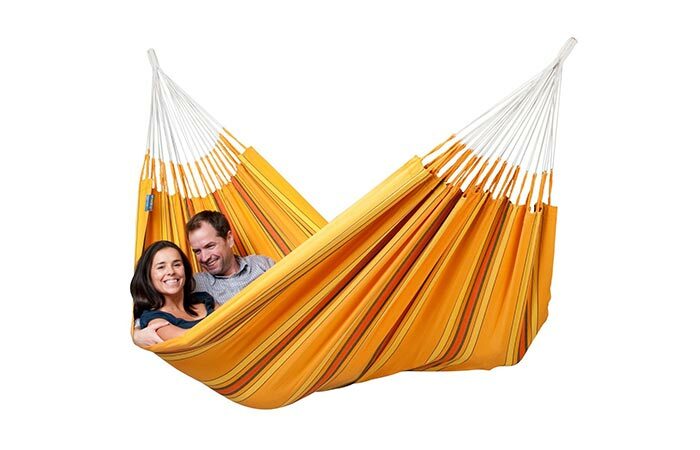 The beauty of this hammock is that it’s so big that it can easily fit two adults. It’s made from soft yet durable 100% high quality cotton with long fibers that is also lint free and machine washable (30°C / gentle cycle). The Currambera Hammock gives you that weightless feeling because it has several open loop suspension cords which uniformly distribute the weight across the hammock’s cloth. This is generally a rule of thumb when buying a hammock – the more cords the hammock has, the more even the distribution of weight is which, in turn, makes the hammock more comfortable. 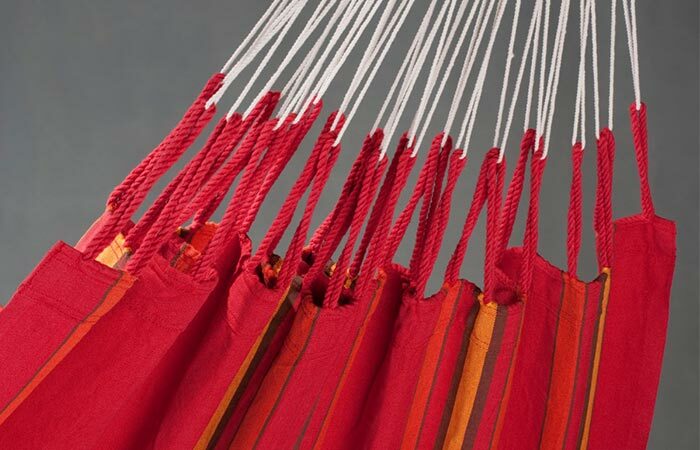 Another great feature of La Siesta’s Currambera Hammock is that it has double weft threads and reinforced selvage which makes it virtually tearproof. This hammock is ideal for every occasion. You can mount it inside the house or outdoors. It’s excellent for singles, couples and families, and it comes in four vibrant colors – Cherry, Blueberry, Kiwi and Apricot. Its dimensions are 63 inches (fabric width) x 90.6 inches (cloth length) x 137.8 inches (total length). The manufacturer – the Colombian company La Siesta – advises that the most comfortable position in a hammock is lying diagonally.